Implemented income tax offset tax strategy by making a charitable donation of highly appreciated philatelic assets that offsets the tax on my 2014 earned income. Philatelic assets appreciated 3470.588 % (not a typo) over a 12 year period. Highly appreciated philatelic assets are duplicates in my collection. 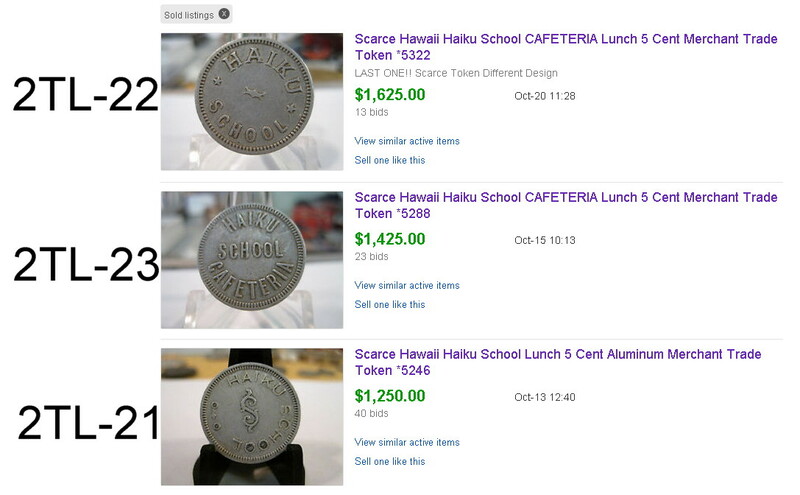 Now if I can get my numismatic assets to appreciate as fast I’ll be a happy camper…. Alapi’i Collecting – H.M.S. Resolution. Read the Tab “Alapi’i Collecting” for more information. 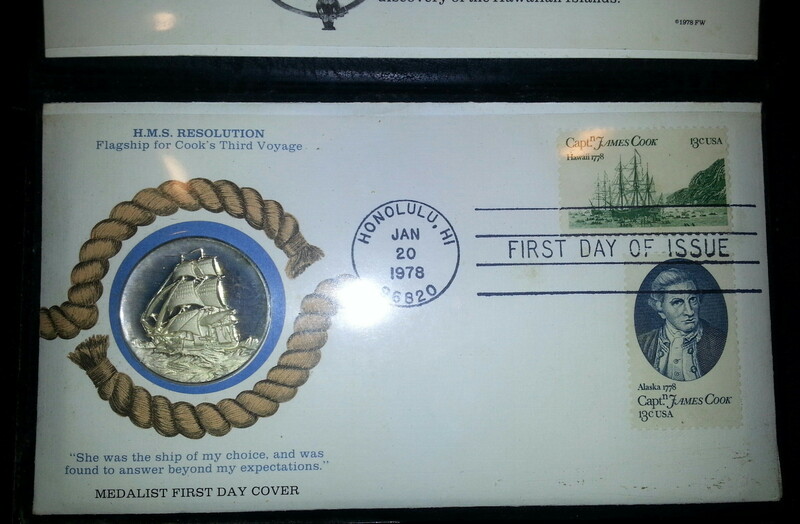 If you know your Hawaiiana history you should know the name of the ship that Captain Cook sailed when he arrived on the Hawaii islands for the first time. 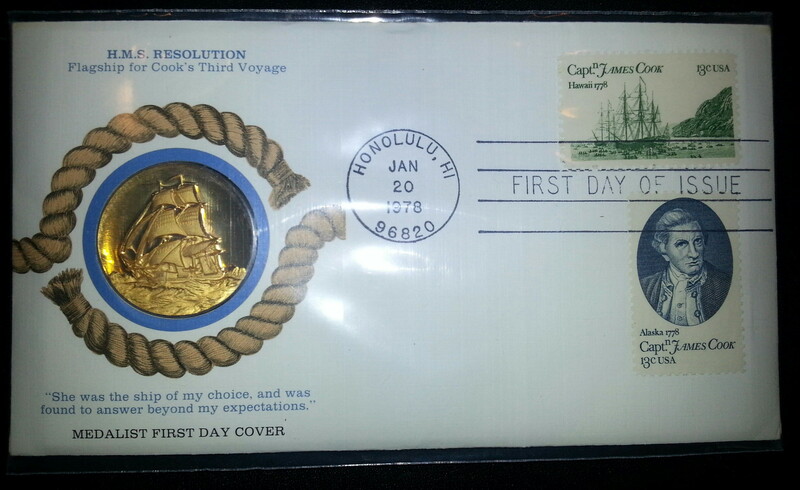 Below are philatelic First Day Covers (FDC) with a numismatic medal. Imagine that … two hobbies in one! Identified as K105B from the book The Faces of Captain Cook by Allan Klenman. Issued by Fleetwood. 32mm in high relief. These are original bronze and sterling silver medals. The FDC serves as a COA. 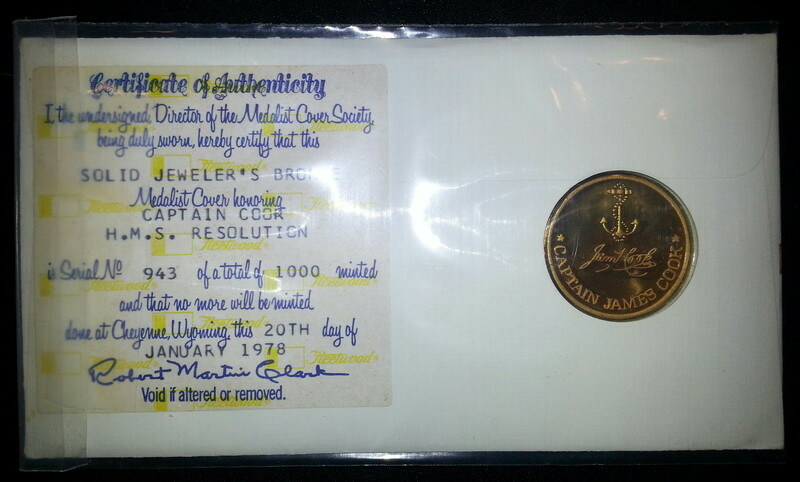 These medal as unlisted in M& R in both editions and the medals wre issued in 1978. Using only the Medcalf & Russell book as a single source of information can be limiting….